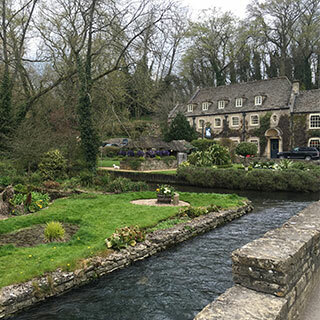 On a full-day tour of the Southern Cotswolds, you will spend the morning exploring the idyllic villages of Tetbury, Malmesbury, Castle Combe and Lacock (dating back to the 13th Century) before stopping off for a relaxing lunch at a traditional country inn. followed by a chance to walk around the older cobbled streets. Here, you can visit the Roman Baths and Pump Rooms or the magnificent Bath Abbey, amongst other attractions. Otherwise, you can simply wander through the streets discovering the great range of independent shops. 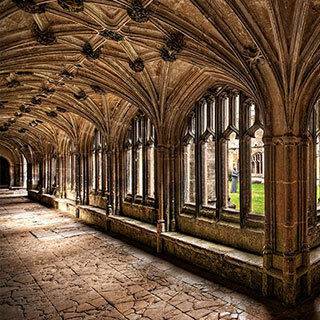 After a walk around the various locations, we will head towards Cirencester (the largest Roman market town in the Cotswold district), with an opportunity to visit an 11th Century Abbey and the Corinium Museum. After a short drive down the road we’ll then arrive at Chedworth Roman Villa with yet another opportunity to stretch your legs and look around this 4th Century ruin (where new findings are still being uncovered by archaeologists daily). Next we head to the village of Bibury (home to Arlington Row, one of the most photographed Cotswold scenes), and then through the enchanting hamlets and villages of Ablington, Coln St Dennis and Coln Rogers. There are several old Saxon church’s along the route, so time again to stop to explore! There will also be plenty of time to stop off for those important photo opportunities, as we cruise around the various locations. I took a two-day tour with my husband to the Cotswolds on March. It was fantastic. Our guide Chris was excellent driving and giving a lot of knowledge including history, architecture and fun joking. It was a perfect trip, we really enjoyed it! We also visited Salisbury, Stonehenge and Bath. We were a bit wary of taking a lengthy trip, but the tour really did provide the best way to see many wonderful sights during a brief stay in London. And also, as I said before, our guide Chris made the drive-time easier with a great mix of informative and humorous storytelling in his comfortable Mercedes van. Described by William Morris as ‘the most beautiful village in the Cotswolds’, Bibury is home to a trout farm and the nearby hamlet of Arlington row–just across the River Coln– featuring a charming row of Cotswold cottages. Arlington Row is the most photographed place in the Cotswolds. 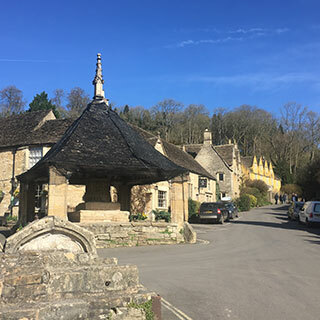 Positioned snugly in a wooded valley, Castle Combe has several fine buildings and attractive cottages around a beautiful Market Cross as well as a Perpendicular Gothic church. A National Trust village and home to the Fox Talbot museum, where the world’s first ever photographic negative was taken by William Henry Fox Talbot himself. Featuring an abbey and manor house amongst other buildings, no new buildings have been constructed since the 18th Century. 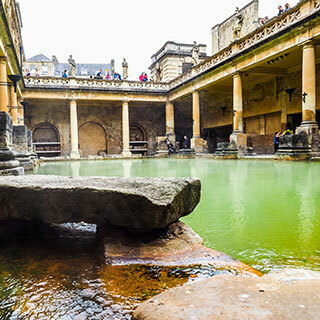 Once referred to as Aqua Sulis by the Romans, the city of Bath is a World Heritage site and sits at the end of the 102-mile long Cotswold Way path. Famous for its natural hot mineral springs and regency buildings, Bath is also rich with museums and galleries reflecting its cultural heritage. Price – Please enquire for vehicle and private guide prices, leaving details of collection and drop-off points to help us provide a quote. Click HERE to complete our enquiry form. Transfers to/from airport, seaport, central London, UK airports and other locations available – please enquire. With so much to do in the Cotswolds, the below is just an example of things to do and attractions to visit during your tour. Just let us know your interests when making an enquiry and we’ll put forward appropriate suggestions for you to consider. 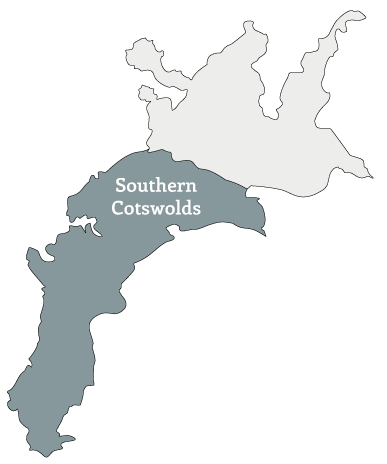 For a full list of things to do in the Cotswolds, click HERE. Send us an enquiry for the dates you’d like your tour, with any additional information you can provide, such as your interests or any extras you’d like included. Visit our ‘Contact Us’ page to fill out our tour enquiry form. We’ll let you know our availability and get a quote to you. We aim to respond to all enquiries within 24 hours. Wait with excitement… we look forward to meeting you! For full booking Terms & Conditions please see HERE. Take a look at our FAQs to see if we already have the answer! View our list of recommended of places to stay. Please provide as much information as possible if you would like us to provide a quote for a tour.